A tardigrade, also known as a "water bear." WASHINGTON — Earth’s ultimate survivors can weather extreme heat, cold, radiation, and even the vacuum of space. Now the US military hopes these tiny critters called tardigrades can teach us about true toughness. No water? No worries. Tardigrades survive. Antarctic cold, 300-degree heat, a lack of oxygen, even punishing radiation doesn’t stop these animals. They are so resilient in the face of so many dangers that scientists think their unique biology may hold clues to how we can make crops more resistant to drought, better preserve blood and medicines, and even make more effective sunscreen. ‘‘If you were put into that same thing, you would explode,’’ said tardigrade expert Randy Miller, a biologist at Baker University in Kansas. They lived and later multiplied, and the offspring from those tardigrade astronauts are still alive, Miller said. University of North Carolina biologist Thomas Boothby wanted to know how they manage to survive in ‘‘environments we think of as being impossible to live in.’’ So he isolated the genes that activate when tardigrades need to go into cryptobiosis. The idea is to see if the tricks that tardigrades use to protect themselves can be used to protect vaccines and human blood, Boothby said. 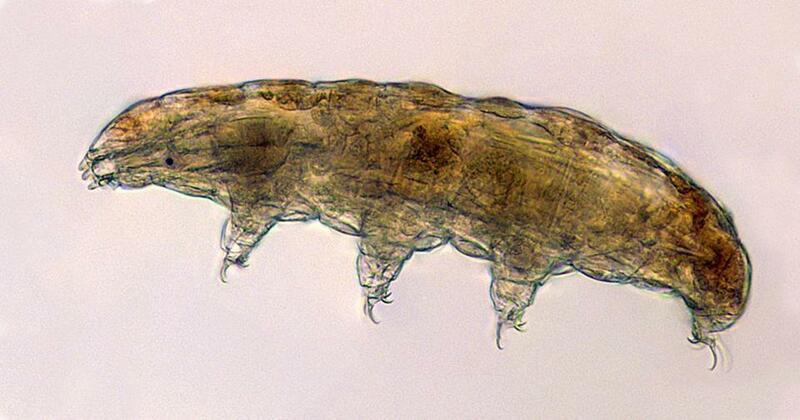 Tardigrades are so otherworldly that some theorize that they could easily exist on planets outside the solar system. Harvard astronomer Avi Loeb said ‘‘they could survive an impact by a rock and they could potentially be brought from another planet’’ to Earth. ‘‘It’s good to know that at least one creature on Earth has a chance of surviving no matter what,’’ Loeb said.